If you’re looking for an activity that will teach your kids science, cultivate their curiosity and critical thinking skills, and help them develop a love for the land, then this is the perfect activity for you! Nature study is an important component for helping your child develop a love for the land so that one day they’ll have the desire to take care of it. It makes nature personal because they learn the name of the bird that sings outside their window every morning and they know the name of their favorite climbing tree. And because it’s personal, they are more likely to become stewards as adults. Not only does nature study help connect our children to the land, it helps them develop their curiosity, critical thinking skills, and they learn how to study science through the scientific method. 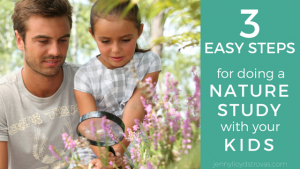 Click here too learn more about why you should be doing nature studies with your kids. Even though we know the benefits of nature study, we may not know how to do it. 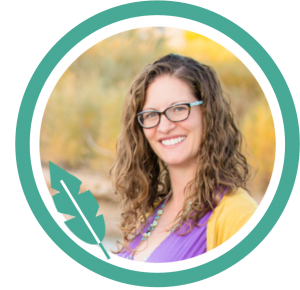 I’ve simplified the process into 3 simple steps and will walk you through the process in this workbook. This section of the workbook helps your child describe what they see by using guiding questions that relate to shape, color, texture, etc. Many children are able to walk through this process without much help from an adult, but others may struggle and need more guidance. The list of questions will fully prepare you to help your children through this step of nature study. This is the first step of the scientific method! Let your child fill out this section of the worksheet in a way that fits their personality. If they are artists, allow them to draw what they see. Later, you can look up the object online and help them label the parts, for example, the parts of a bird’s body or the parts of a flower. If your child is more language oriented, allow them to write descriptions of the plant. If your child tends towards science and engineering, draw a table, give them a ruler, and allow them to measure the object and record the data. You want your child’s experience to be fun and memorable, so let them lead. This is another great observation tool because it allows them to connect what they observe with something they already know – it combines new knowledge with established knowledge to create a concrete memory. This is the step that is going to help your child remember the name and properties of the nature object you are studying. It’s also a critical part of helping your child develop their curiosity. If they are making connections between what they are learning with things they already know, then they’ll naturally generate new questions. 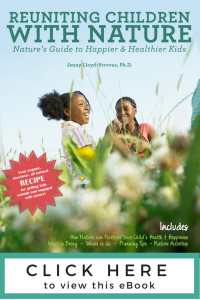 If you’d like to know more about why nature is important for our kids, get helpful planning tips, or learn about new nature activities that work for all ages, check out my eBook! This is where you record your child’s questions and is the second step of the scientific method. Let them write down as many questions as they can think of. After you finish the nature study, review the questions and ask your child what’s the one thing they want to know more about. Circle that question and revisit it later in the day or that week. It’s vital to follow through with this step because it helps them understand that even though they don’t know everything, there are tools they can use to find the answer, or at least move one step closer to an answer. It’s another method for developing their curiosity and a love for the land. 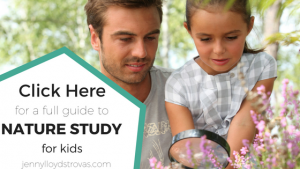 For a little more explanation on why and how to do a nature study with your kids, watch the video below. Click here to download the Nature Study Workbook.